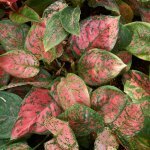 When you are wondering where to buy healthy tropical houseplants there are a few things that you should keep in mind. First, you should have an idea of the type of plant that you are looking for. 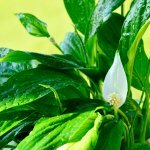 The biggest thing to consider is whether or not you will be able to provide the plant that you buy with the amount of sunlight that it needs. Some plants can live in dark rooms but others need a considerably greater amount of light from a window. The most popular places to buy plants are from a nursery or a home improvement center. It is better to buy your tropical houseplant from a nursery simply because nurseries specialize in plants, and home improvement stores specialize in many more broad areas. Home improvement store employees are generally not trained in the details of each plant and may not be able to help you with any difficult or specific questions that you may have. When you are choosing which nursery to visit, it pays to look around and find a nursery that you are confident with. You want to choose a nursery with a knowledgeable and friendly staff. It may take a lot of questions and answers to decide on the plant that you are going to enjoy and be able to take care of. Nursery employees should be able to advise you on which plants you would be best suited to care for. Also, you should look at the overall condition of the plants in the nursery. If all of the plants look unhealthy then you had probably take your business elsewhere. A good nursery will not only be able to tell you about healthy houseplant growth, they should be able to show you healthy houseplant growth. 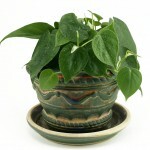 Another option for where to buy a healthy tropical houseplant is to look online. There are a great many deals to be found online, but not all of them are worth paying for. 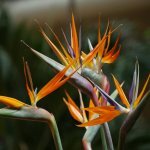 If you chose to buy your tropical houseplant over the Internet, you need to be aware of the reputation of the vendor that you are dealing with. If the vendor has had problems with unsatisfactory service to previous customers, it is best to go with another vendor. Also consider the size options that are available on each plant. It would be difficult if not impossible to view every plant that you have to choose from online. Because a description is often all that you have to go on, make sure that you know what you are getting. Know the size of the plant that you are ordering and look for the shipping method to ensure that the houseplant arrives at your home still alive. Make sure that there is a return policy of some type if the plant you get in the mail is less than satisfactory. Make sure that the plant that you choose will fit your conditions. For example, a plant that grows to great heights or ivy that quickly takes over a small space may not be the best houseplant option for someone in a studio apartment. Carefully examine the plant you intend to purchase to make sure that there are no signs of disease (such as root rot) and that there are no bugs on the plant. Make sure that the plant is not discolored in any way. Look for traces of yellow and brown in the leaves (other than those that may occur naturally). 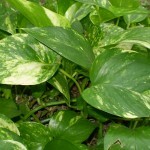 Healthy plants are also lush or full of leaves. If you are choosing a flowering plant, check the plant for new growth. Make sure that the plant has buds that have not yet opened so that you can be assured that the plant that you are buying does in fact have the potential to bloom.